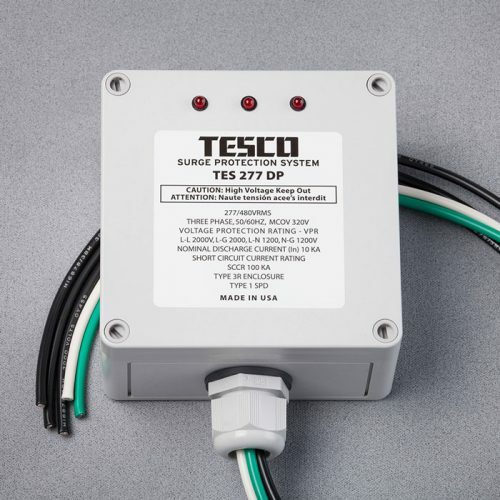 Introducing the TES 277DP Surge Arrester, installed at wattmeter, service entry or weatherhead locations for commercial and industrial applications. The TES 277DP Surge Arrester is specifically designed for long lifetimes even with strong lightning activity and temporary line overvoltage conditions. A tough Surge Arrester for tough line conditions. Three Phase 277 VAC Surge Arrester for commercial and industrial usage. 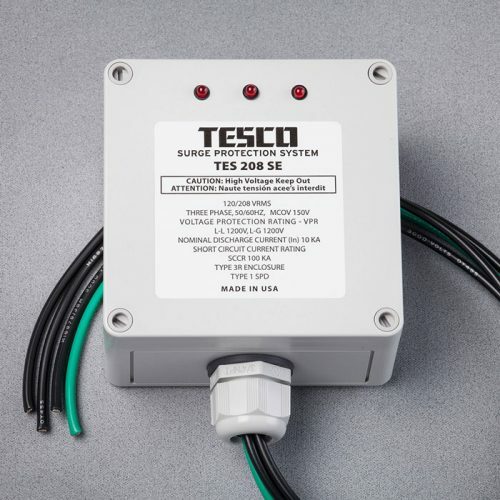 Installed at distribution indoor panel, safely clamps and dissipates AC line high voltage current impulse going to a residential, apartment or light industrial building. UL1449 4th ed. 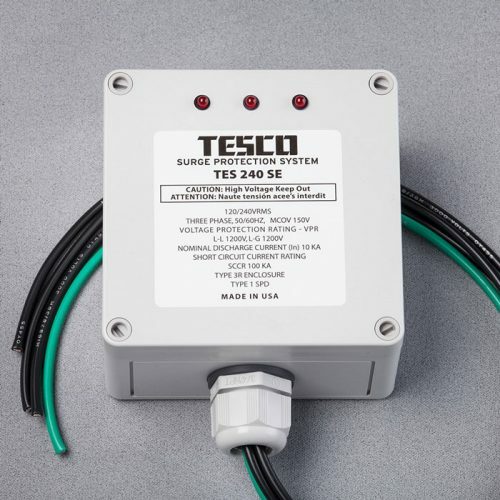 surge suppressor with thermal protection designed to open in the event of over heating due to an abnormal over-voltage or temporary overvoltage (TOV) and will interrupt any abnormal current that may be encountered. While in overvoltage induced thermal runaway, apply 7 KA at operating voltage. Surge arrester must fail safe without faulting the AC line. No arcing allowed.